It’s known by several names: PPC or Pay Per Click advertising, CPC or Cost Per Click advertising, or sometimes by the best known PPC advertising engine, Google Adwords. Pay Per Click advertising is no longer new; as a result, much of the “easy” money has already been made. But I’m struck by how many companies I run across that are still NOT using this method to attract prospects or make sales on the web. While it is now a competitive channel unlike in the early days of this medium, it can still be very effective and cost-effective in many markets. PPC advertising campaigns can be very complex and extensive, and will be once you get them optimized. There are several types of advertising available in fully featured PPC consoles: contextual search, contextual display and behavioral/retargeting. I will save detailed explanations for another article. Many companies are spending tens of thousands of dollars/month on PPC. At that point they should be making a lot of money for you (or you shouldn’t be doing it! )–so it’s well worth the investment and the trouble if you get to that high budget. But getting started is quite easy–almost anyone can do it. You simply open an account with one of the major advertising engines, which will take you all of five minutes or so. You can put together a basic test campaign in less than an hour’s time. I always recommend starting with Google Adwords first. Once you are successful and understand what you are doing on Adwords, it can be productive to import your functioning campaigns to the other major system (Bing Ads). There are differences in the platform, but they are fundamentally the same. The major social media platforms such as Facebook and LinkedIn also now have important PPC advertising on their sites. There are tertiary platforms that can be useful as well, but the PPC business today is dominated by these two major PPC platforms as well as the social media sites. Adwords is the most powerful, complex and has by far the greatest reach, yet it is still very easy to set up your basic initial trial campaigns. There is an excellent set of online Help and tutorials to walk you through the basics. When you set up your initial campaigns, you WILL make mistakes. But don’t worry. Just set your budget limits to a low number that you can easily afford and if you stick with it and are willing to learn you will quickly climb the learning curve. Once you’ve learned the basics of what you are doing, you can then seek assistance to do the final optimizations to your campaigns, which will lead to the greatest success possible. You may decide to “do it yourself”; if so, there are a lot of different experts out there with modestly priced guides and services to bring you to the top of your PPC game. Or at this point, you may wish to outsource your PPC advertising activity. I always recommend opening an account on your own first, even if you plan to outsource. The knowledge that you gain will help you in hiring a third party who will best optimize your PPC activity, if you decide a third party PPC firm is the way to go for you. If you are a thinly capitalized startup company, or have a tight budget for a new product or market segment, you can start a PPC campaign that brings you results that you can continually improve for just a few dollars/month. As usually is the case, the more money available the better and definitely the faster you can improve your results. The more money you have to spend, the faster you can receive statistically significant results–which can then be used to tweak your campaigns for improvement, over and over again. But if you can only spare $50, $100 or $500 per month at first–don’t let that deter you. In most cases you can get started and move your campaign forward, at even these low budget levels. The beauty of PPC is that you really don’t need to commit to a large budget until you’re sure that you’ve got a profitable campaign and as we’ll discuss below the results are highly measurable. At that point, you’ll want to pour as much money into your campaign that you can muster. Once a campaign is proven profitable it’s not longer a cost center; pouring more money into it is like turning up a profit meter! One of the major advantages of PPC advertising, compared to traditional offline adverting and many other promotional methods, is the ability to precisely measure nearly every important aspect of your campaign. The ability to precisely track your results is much greater than any other form of promotion I’ve utilized in my career. This measurement precision turns PPC advertising into the most scientific form of marketing available. You do have to start somewhere, of course, so it starts with “art” which quickly turns into “science”. After some initial hypotheses with respect to Ad copy, keyword selection and landing page design, it is possible to systematically improve your results by tweaking these elements of your campaign and continuously measure the change in results almost infinitely–increasing your profitability as you go. 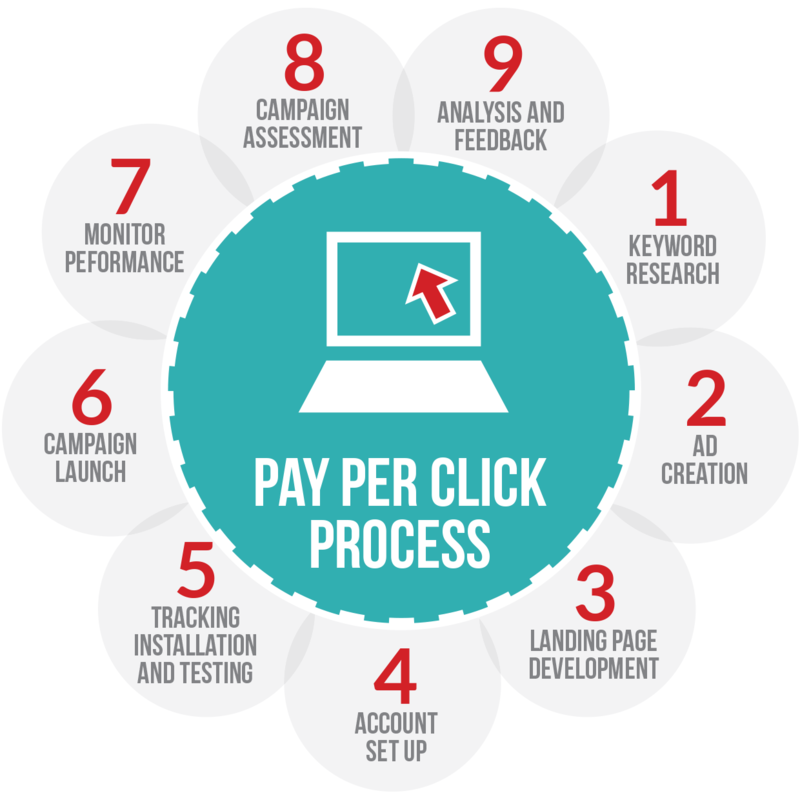 The other important aspect of PPC advertising which in conjunction with measurement precision makes this medium so systematic and scientific, is the ability to get this precise feedback in near real time. As an example, in the old days of traditional, offline advertising campaigns, you would need to invest tens of thousands of dollars upfront. After this large investment, you won’t even know if your campaign was successful for months. With PPC advertising, you quickly get feedback in the form of precise, quantifiable results, sometimes only minutes after you started it. As a result, you can have a well-optimized, profitable PPC campaign working, before you would even get your initial measurements with other methods. The expediency and precision of PPC advertising make it a great “starter” marketing platform to kick off any promotion for any new product, market segment or company. It is very efficient way of testing messages, offers and websites. Once you’ve discovered and proven the messaging and offers that work best, you can transfer this knowledge to the roll-out of other promotional vehicles. This greatly reduces the risk inherent in starting up new marketing campaigns of any type and should increase your profitability across all marketing platforms and promotional vehicles from day one. As you can probably tell, I am a big proponent of PPC advertising as a staple of every marketing budget. As I mentioned at the beginning of this article, it’s not likely to be a marketing platform which should take up a large chunk of your promotional budget. But unless your market is so small that it consists of only a few hundred prospects, I recommend it to nearly every software and hardware tech company on the planet. Consumer, Enterprise or SMB–it’s very useful across many markets. In fact, the more of a niche your market is, the more cost-effective PPC often becomes, due to reduced competition and lower resulting bid prices. There are a few highly competitive markets these days which are so competitive that it’s hard to run a profitable PPC campaign. But these are still in the minority, if you know what you’re doing. So if you aren’t active in PPC advertising today–get started! Give it a try, and let me know your questions or comments. I WANT TO ADVERTISING MY WEBSIDE, I NEED TO KNOW THE COST.